HIgh quality black leather Maverick cowboy boots by Grinders. 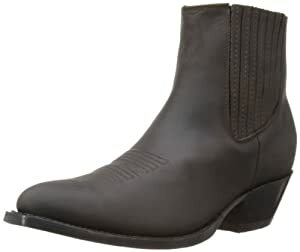 These lovely boots are made from premium Crazyhorse leather, have a Goodyear welted sole, pointed toe and Cubal heel. These boots would look great with smart trousers and a pair of jeans, they also have a leather lining for ultimate comfort.